We’ve all been there—you spend all morning washing, drying, and styling your hair just to walk out the door and…BAM! Frizz. It’s so common, yet oh so frustrating. Whether it’s humidity, damaged hair, or simply bad luck, there is a solution for frizzy hair! It may take a little trial and error to figure out what works best for your hair type, but here are a few tips for taming your frizzy hair. 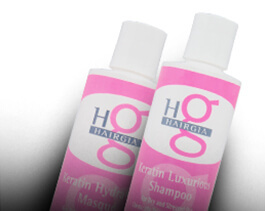 High quality, moisturizing hair products play a critical role in the health of your hair. 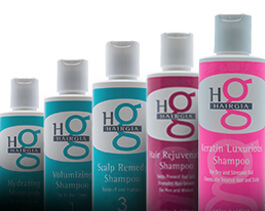 It’s important to avoid shampoos and conditioners with harsh chemicals and to use products that are all natural, like HairGia’s line of natural shampoos and conditioners. Full of natural botanicals, our products are made especially for supporting healthy, shiny, frizz-free hair. It’s also good to avoid washing your hair too frequently as this can dry it out and cause it to get extra frizzy. Heat can be your hair’s worst enemy if you overdo it. Don’t blow dry and straighten/curl your hair every single day; give it a break. Make sure that you are using good quality styling tools that are not going to overheat or damage your hair, and don’t use your blow dryer on the hottest setting. Another great tip for preventing frizzy hair is to blast your hair with the hair dryer on the cool setting for a minute at the end of drying. This tames some of the frizz the heat may have caused! Even if you take great care of your hair, you may still find your finished style a bit frizzy. 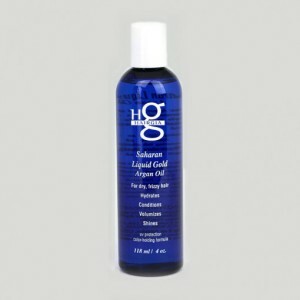 That’s where HairGia’s Saharan Liquid Gold Argan Oil comes in. Luxurious argan oil, keratin proteins, and vitamin B combine in this all-natural hair serum to provide your frizzy hair with the ultimate shine without weighing it down or leaving a greasy residue. 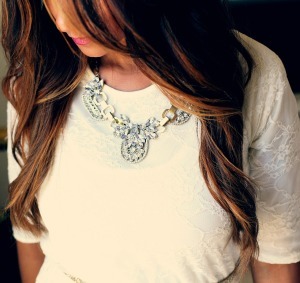 By finishing your hairstyle with Argan Oil, your hair will be frizz-free all day! By following a few simple tips and using the best, all-natural hair products, you can eliminate frizz and have shiny, healthy hair everyday. Don’t wait! Shop online today for less frizz tomorrow!